A team of scientists at the University of California, San Diego, have built an interface that can peek into a bird's brain and predict the song it is going to sing "a fraction of a second before it does so," per MIT Technology Review's Antonio Regalado. Why it matters: The discovery marks the first successful prototype of "a decoder of complex, natural communication signals from neural activity," the team said. They suggest a similar approach could be used to create a way for people to send texts, tweets, and more solely with their minds — an ambition of tech titans like Elon Musk and Mark Zuckerberg. 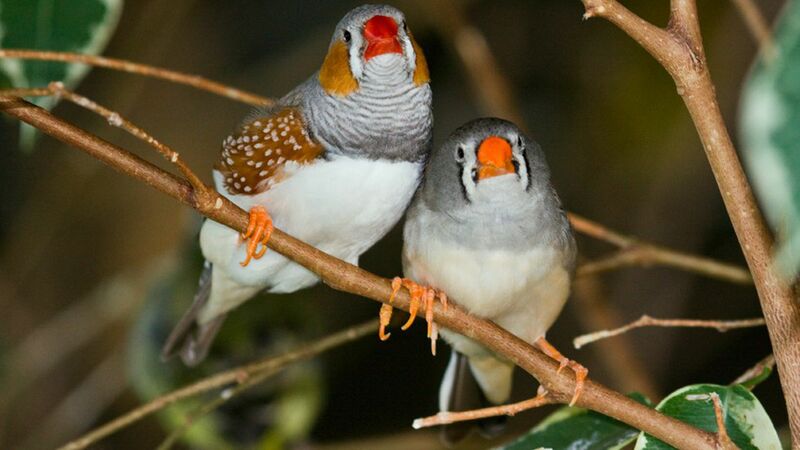 The team: Timothy Gentner and his students at UCSD, with the help of Argentinian birdsong expert Ezequiel Arneodo, say they've successfully decoded "realistic synthetic birdsong directly from neural activity" of the zebra finch; a small, orange-beaked bird. Their method: The scientists used silicon electrodes in the birds "to measure the electrical chatter of neurons in part of the brain called the sensory-motor nucleus, where 'commands that shape the production of learned song' originate," writes Regalado. Then they trained their machine learning software to match the neuron pattern to the song it produced. The result: The team said the software can predict what the bird will sing roughly 30 milliseconds before it does so. The human connection: Scientists use birdsong — which is complex and learned — as a proxy for human language.